I recently lost my wallet. Since I never carry cash the only real monetary loss was the physical wallet. Yet I never thought about the loss of my time in replacing bank cards and a driving license. I had two bank cards, one from Monzo, one from Lloyds banking. Replacing these cards brought me down very different paths. Have I lost my wallet or justmisplaced it?! I’m not quite ready to cancel them. It’s going to turn up eventually right?! Open the app, and in one click I’m able to freeze my card. Panic over. Keep checking my bank account. What if my wallet has been found, but the finder decides to rob me :/ Panic remains. I move from denial, to acceptance. I’ve lost it. This involves calling up and explaining that my card is lost. Yes I wasn’t put on hold, yes I was speaking directly to a human, and yes that human was friendly. But I just want to cancel rather than explain that I need to cancel. Give me the power! But wait…my cards need to be sent to me. I recently moved and of course never changed my address for either bank. Open the app. Go to settings, change my address. Verify by entering my ATM pin. Done. Login to my desktop account — you can’t do this through the app of course. Go to settings and print out a two page form. This needs to be brought to the nearest branch. But wait I need identification to do this. Now a driving license down, I have to wait another day before I bring my passport with me as ID. 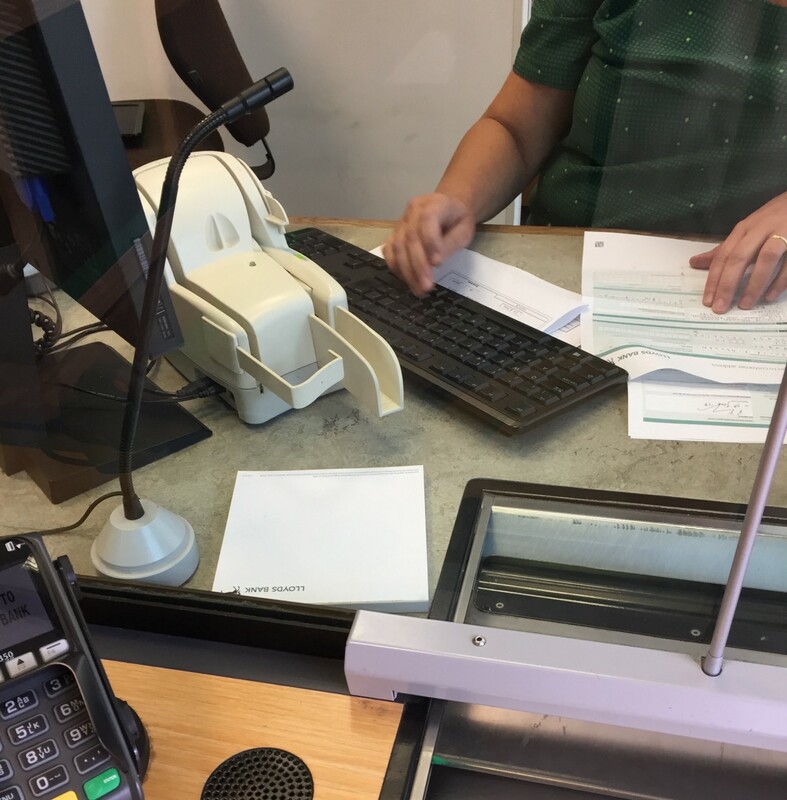 The following day, passport and form in hand, I head to my nearest Lloyds branch — only a 15 minute walk from work…but still that’s my lunch break gone. Wait in line, hand form over…you get the point, it’s tedious. Address now changed I can reorder the cards! Open app. Now in freeze mode I’m shown the option to replace my card. Contextual relevancy at it’s essence. Select reorder card. It will arrive in 2 days. Call up…again. And yes again I was put straight through to a human, but why do I need a human to order a new card? I’m able to transfer large amounts of money through the app, but replacing cards — no. Explain that my address is now changed and they can send out my card. 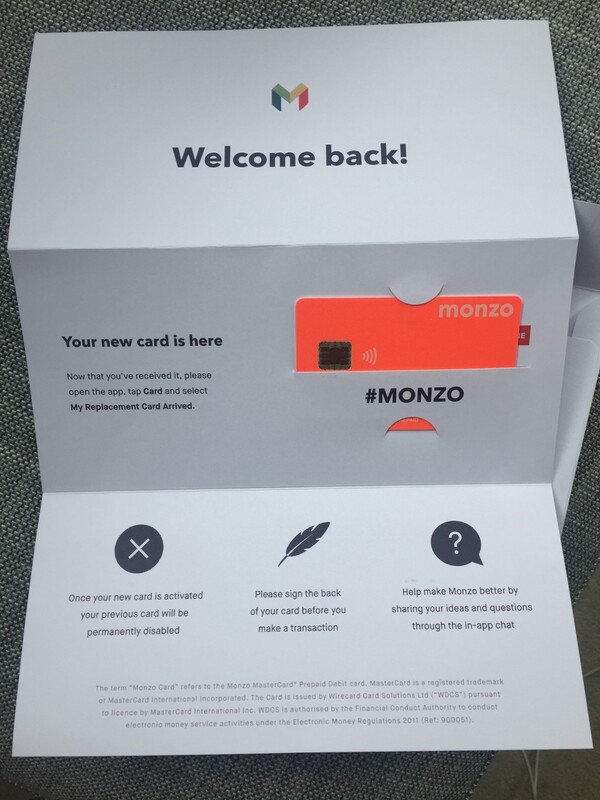 I’m told this takes 4–5 days working days — double the time it takes Monzo to send out a card, DOUBLE! Everything about this letter makes me feel warm and cozy towards Monzo. Essentially a bank. That’s never happened before! They’ve even considered covering up the card number so their users can shout about their Monzo card. 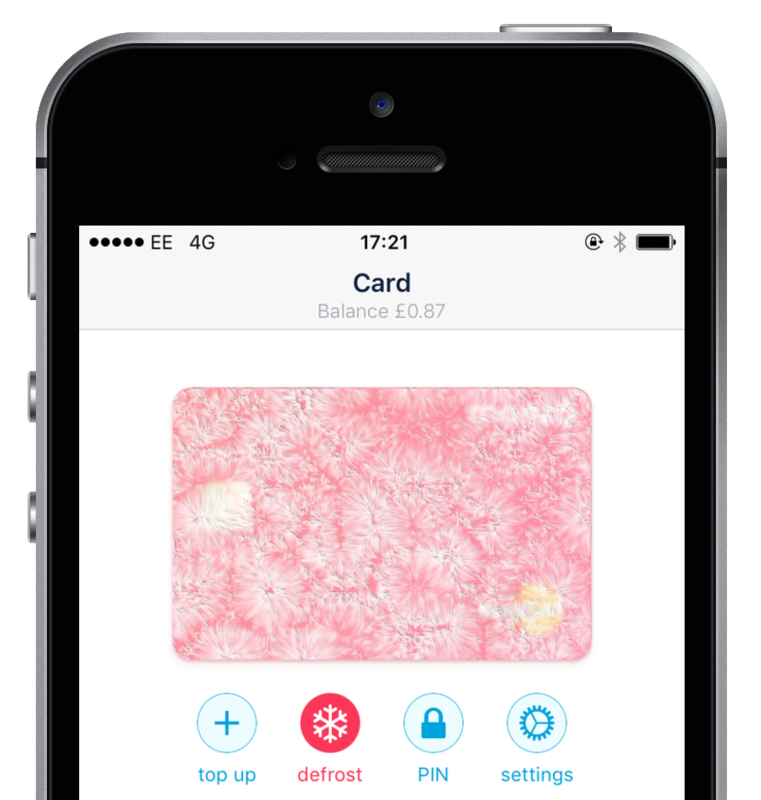 To activate my card I open the app, select card has arrived and receive a text with my new pin code. 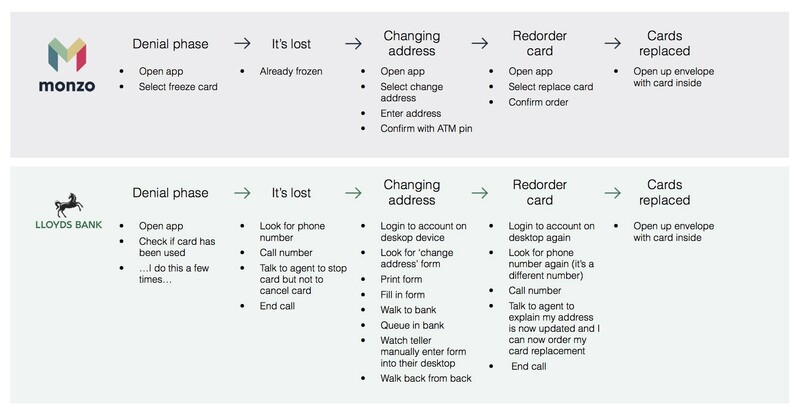 Despite planning to write this I forgot to take a photo of the letter Lloyds sent with the card replacement — that’s how forgettable it was. Consumers are becoming ever more time-poor and subsequently brand promiscuous. By saving time for consumers companies will be rewarded with loyalty. Taking time away from consumers will only encourage them to switch at the first opportunity. Time is a form of currency, don’t forget it banks.